This statistic tends to gloss over just how quickly the Netherlands changed the roads and streets that matter. It certainly didn’t take ’40 years’, and the danger is that such a long timescale provides a justification for inaction. More importantly, rather than closing that gap, we are falling further behind, as David Hembrow has set out – not just because there has been little or no substantive action in London and elsewhere, but also because the Netherlands is pulling further and further ahead, with constant upgrades and improvements to its network. I came across just one of these examples this week. I’m planning a bicycle tour of some Dutch cities I haven’t visited before, using the Fietserbond (the Dutch Cycling Union) planner to work out my routes. 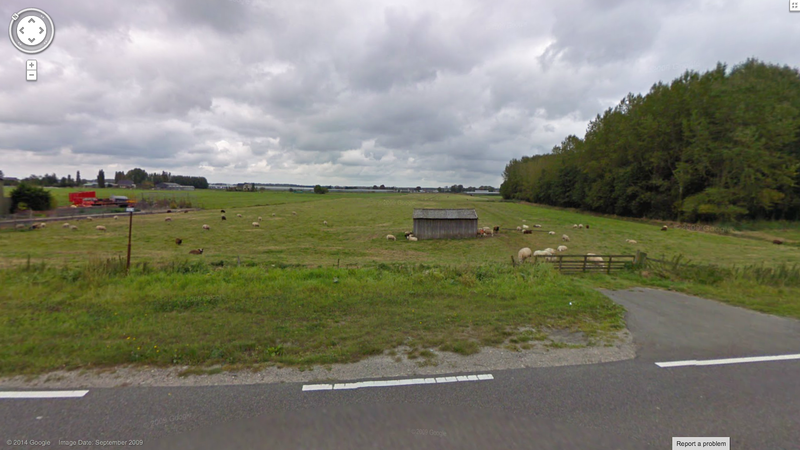 This is part of the route it suggests, between Delft and Gouda – the straight blue line on the map. 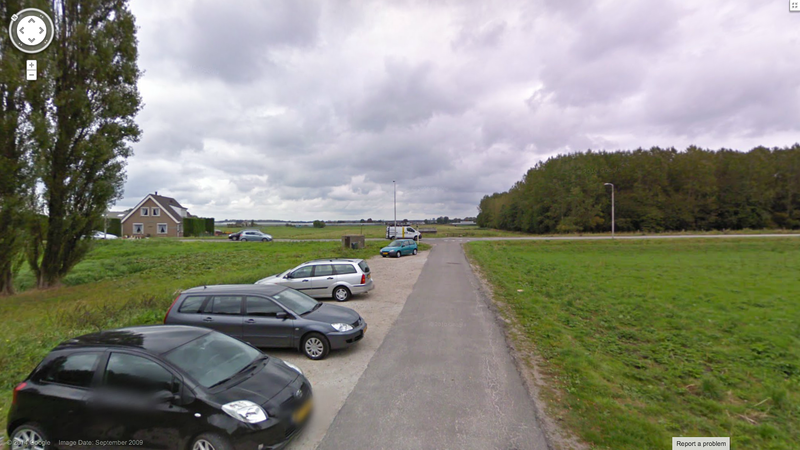 Examining what it looks like on Streetview, I found that this section… apparently runs across a field. The wood on the right here is the dark green rectangle in the middle of the map above. The blue line of the route cuts straight where the sheep are. This was slightly concerning – I didn’t want to find myself taking a lengthy detour, or struggling across a field. I don’t doubt the Fietsersbond planner, so did a bit of looking around. It seems that a huge new bicycle route has been built since the Streetview vehicle passed through. Here’s the junction in 2009 – the bicycle path just ends as it meets the road. A year later, and construction has started on an underpass. For bikes. You can just about see the bicycle path extending off across the field in the distance (if you want to take a look for yourself, the location is here). This doesn’t even appear to be a particularly major road, which could have been crossed at surface level – but an underpass is less dangerous, and involves less delay. Just better, even if it costs a huge amount more. The cycle route now forms a nice straight uninterrupted line between the cities of Delft and Zoetermeer. 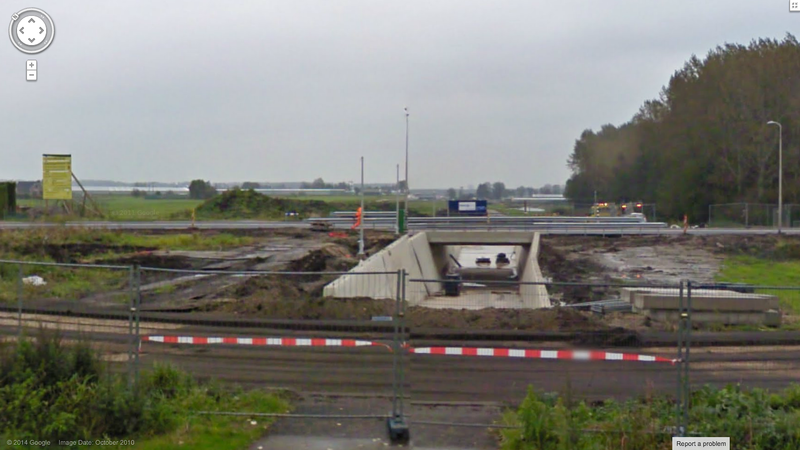 Here’s a local news item from October 2011, announcing the opening of this new ‘fast cycle route’, with tunnels under this road (the Noordweg) and a railway line. There’s also a pdf showing the new and improved routes. I will enjoy riding along it! This entry was posted in Infrastructure, The Netherlands. Bookmark the permalink. I think you might want to have a second look at how you write this post – it now seems too much an attempt at having your cake (by saying that Dutch-style infrastructure does not have to take nearly 40 years, and it did not take them/us 40 years) and eat it too (by saying that after 40 years, Dutch infrastructure is still being continually improved, implying that it did come to this after 40 years only). I think I know what you mean (8 years is enough to put in a decent, somewhat Dutch-like network, but things can always be improved, and given enough time, the Dutch will do so), but you might be clearer about it. An important thing to notice is that it’s for a big part the existing infrastructure that enables the Netherlands to take the next steps. As I have said before, nothing creates political will to provide for cycling like an existing high modal share. It’s simply a lot easier to convince people to build something for cyclists who are having a hard time (or even a slightly less easy time than they could have) than to convince them to build something for potential cyclists who might not even be considering it now. It’s all a big positive feedback loop. Infrastructure gets more cyclists, more cyclists gets more interest in and appreciation of cycling, interest in cycling gets money for cycling, money for cycling gets infrastructure. Of course in a country like the UK that very same feedback loop works to diminish rather than build cycling. Continual improvement ‘at the top’ has two opposite effects on those trying to catch up. On the one hand, the Dutch (and Danish) have often had various stages of cycling infrastructure at the same place. It has already been shown what works well, what works even better and what works rather badly. By skipping a few phases, and immediately build up to date infrastructure, 40 years can be made good in fewer years, probably much fewer years. 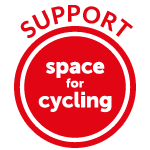 On the other hand, it also means other countries cannot simply make a spurt to catch up and then be done with it – if in some miraculous way you get in a ten-year project to change England to Dutch cycling infrastructure, and then do nothing special for five years, you will be fifteen years behind the Dutch, not at the same level. Of course, ‘skipping a few phases’ as I write above will not be easy, for the reason mentioned before: The really good parts are also parts that cost a lot of money and/or take a lot of space. And getting those investments in cycling is hard in a country that is struggling to get a measurable modal share. The point is, if you say ‘it took the Dutch forty years’, this implies that it takes forty years to get cycling infrastructure that is safe and pleasant to ride on, but this is misleading. It takes only a few years to get safe and pleasant infrastructure, and in forty years you will have even more safe and pleasant infrastructure. I’m sure that right now, in Britain, there will be still be some road construction going on. A new road, perhaps? An old roundabout that will be renewed and modernized? Don’t tell me that British engineers and construction workers were out of a job after the fifties and sixties when Britian was adapted to the motorcar! Well, if it didn’t take the British forty years to build motor highways, it won’t take the British forty years to build cycle infra. But once you do build it, you will spend decade after decade inproving it, and yes, this may include a new cycleroute that wasn’t there before. But before the Dutch build that straight path between Delft and Gouda in 2009, it still was perfectly possible to cycle safely from Delft to Gouda. They just built a new route that was even straighter. We can shortcut 40 years by skipping past the earlier Dutch designs and skip to current best practice. I think the point is that not only are the Dutch far ahead of the UK, but they’re moving faster than we are as well – investing more in infrastructure, refining what they’ve got – so they’re getting _further ahead_ all the time. While all the time we’re still either doing nothing, or doing things that the Dutch are now ripping out and replacing with things that are better (ASLs, etc).